Home > History	> John of . . . , John the . . . , Servant of the Priest? That Also? John of . . . , John the . . . , Servant of the Priest? That Also? Several early Christian writings record that the resurrected Jesus gave His shroud to different individuals. . . . A third possibility, which seems not to have been previously considered, is that "the servant of the priest" was the Apostle John, of whom there is historical and Biblical evidence that he was a priest and that he may have even been a servant in the High Priest’s household. This latter possibility, that Jesus took His Shroud with Him out of the empty tomb and later gave it to the Apostle John, seems the most likely. St. John the Evangelist? John of Patmos? John the Beloved Disciple? Fascinating. But John the who? All of the above? And more? If we can accept that the Beloved Disciple is the author of this Gospel, the next issue is to decide on his identity. The variety of candidates that scholars have proposed for his identity (e.g., John of Zebedee, John the Elder, Lazarus, Thomas, Nathanael) should warn us to tread carefully and modestly. It seems that “the disciple whom Jesus loved” is deliberately kept anonymous in the Gospel, which implies that he cannot be one of the named disciples in the Gospel and hence we can rule out the identification with Lazarus, Thomas or Nathanael. Nonetheless, Bauckham argues that while the Gospel uses the literary device of anonymity, it does not want to conceal the identity of the Beloved Disciple and it is highly likely that the original readers knew who the Beloved Disciple was. Besides, the title “according to John” was probably included in the Gospel from the outset, thus strengthening the argument that some of the first audience knew this John. We must therefore probe further by looking at the internal and external evidence. In conclusion, the identity of the Beloved Disciple remains a debatable (and perhaps irresolvable) issue. Yet, even if we cannot ascertain beyond doubt the identity of the Beloved Disciple, what is relevant is that he was an eyewitness from the earliest days of Jesus’ ministry to the end and present at key moments. John’s Gospel emphasises the function of the Beloved Disciple within the Johannine narrative (as the reliable eyewitness to Jesus) rather than his identity. The most important contribution of the Beloved Disciple has been the writing of this Gospel where his testimony has been carefully preserved. Although the Beloved Disciple was not necessarily one of the Twelve, if we consider his privileged and intimate relationship with Jesus (13:23) and his “rivalry” with Peter, it seems likely that he was. . . . All things considered, I propose that John of Zebedee is the most likely candidate, but John the Elder is a serious contender. Yet, we should not exaggerate the issue of authorship with regard to the historical reliability of the Gospel of John because an account from John of Zebedee is not necessarily more reliable than one from John the Elder. Nor is an account written by an eyewitness (e.g., John’s Gospel) necessarily more reliable than one written by someone else but based on an eyewitness account (e.g., Luke’s Gospel). St. John, Servant of the Priest? Let’s see where Stephen takes us as he continues his posting. It is an interesting proposition but one that is not either faith affirming or denying. I do not believe that but I do believe that for his time and place Jesus was a feminist, and a radical one at that. But married to Mary M.? Unfortunately, that concept is the basis of all sorts of nonsense memorialized by Holy Blood, Holy Grail (HBHG) and the DaVinci Code, neither of which qualify as serious scholarship. I really, really don’t believe that Europe is waiting to crown a new king – even the one who is the grandson son, eighty times removed of Christ. (That was the real revelation of HBHG. Turns out the documents relied on by HBHG were forged by the putative descendant of Jesus. Thanks John, you hit the nail on the head. There is no early evidence that indicates that the witnesses of Jesus’ appearances concluded that Jesus had been raised from the dead because they ALSO knew that the tomb was empty. The personal encounters with Jesus were decisive and later attempts to combine the two traditions — empty tomb and appearances — were done to provide additional support for Jesus’ resurrection for the LATER generation of believers. Stephen Jones is an Evangelical Christian,but I have my doubts if he has ever read the Protestant (Reformed Church) theologian Jürgen Moltmann. Moltmann is not a “Shroudie”. I know of one theory that equates “the beloved disciple” with a presumed adopted son of Jesus. Because of then high mortality rates, many orphans were prevalent in ancient times, and other family members would then adopt them. Adoption gave the same legal rights as birth. Because of Jesus’ claim to be a king his identity was kept secret as his life would be in danger as the natural heir. If a king was defeated and killed, there was a need to forestall the possibility of pretenders to his succession. He is variously identified with one of the named brothers in Mark’s gospel, the one who leaned on Jesus’ breast at the Last Supper, the one who fled naked in the garden leaving his pyjamas behind (Mark), the disciple present at the crucifixion, and the original author of the fourth gospel. Clearly not all of these would necessarily apply to the same person. Adrie van der Hoeven’s 2011 paper “The Turin Shroud as John Mark’s temple garment” offers some fascinating speculations on the origins of the Shroud, and makes a good case for its originally being a temple garment. It is certainly worth reading, but unfortunately seems to suffer from an apparent confusion associating the writers of the first and fourth gospels as the same person, and this would seem an unlikely identification. Hence the differences in style are not sufficient to dismiss a claim that the different writings may have had the same author. I meant in terms of order of time in writing, i.e. between the Marcan and Johannine gospel writers. I was unable to avoid the impression that the paper identified the writers, said to be John Mark and John the disciple whom Jesus as the same person. On several grounds this identification would seem unlikely. I seem to be in danger of catching Max’s habit, typing too quickly. Dave you wrote: “On several grounds this (John Mark/John) identification would seem unlikely.” On which ones exactly? Max, I have been in touch with Adrie concerning her hypothesis. I have still to see any evidence that might support it. Superficially: The traditions relating to John and John Mark seem to be quite different, (Mark in Rome & Egypt, John in Ephesus); there seems little that would link the two gospels as coming from the same author but this might be attributed to the large time span between them; patristic authority claims that there were four gospel authors, not three; the name John was the fifth most common Jewish name in NT times (about 4.5% of the population) and so was common. I may be able to address the issue more fully at a later date, but hopefully sooner. Do you know of any specific material that would support the case? Etymologically speaking, the surname Mark derives from the Aramaic Maqqabah, “the Hammer”, “the Maccabee” and the Maccabees appear in history as a priestly Judean family. Most likely John the Presbyter (of whom Polycrates said he was ONCE a high priest as he wore the petalon) = John Mark (since the latter is the transcription of YoHanan/Yonathan Ha-Maqqabah = John “the Hammer”/the Maccabee = belonging to the priestly Judean family. John Mark/John the Presbyter was also designated to be a high priest as early as 36 CE yet resigned on the same year (see Claude Tesmontant's "Enquête sur l'Apocalypse", p.221-295, ed. F.-X. de Guibert, 1994). Thanks, Max, I think I recall your mentioning some of these details previously. I continue to be in touch with Adrie, and hope to get to her 2008 paper eventually. John Mark scriptural refs are of course: Acts: 12:12 (Peter’s refuge from prison); 12:25 (Saul returns to Jerusalem with Barnabas & John Mark); 13:5 (accompanies Paul on mission journey), 13:13 (John leaves them at Pamphylia); 15:37 (Paul declines Barnabas’ suggestion that Mark accompany them, replaced by Silas); Col 4:10 (he was cousin to Barnabas, and he was then back with Paul). He is mentioned as disciple of Peter in I Pet 5:13. II Tim 4:11 (may be pseudonymous but has Paul asking for Mark’s help). The name Mark is not mentioned in the Witherington stats of Jewish names and is not mentioned in Rahmani stats of names on Jewish ossuaries. I had assumed that it might have been adopted from some type of Romanism (Marcus is a very common Latin name), The inference I take from yours above is that it was likely a type of family name or title associated with the Maccabees. 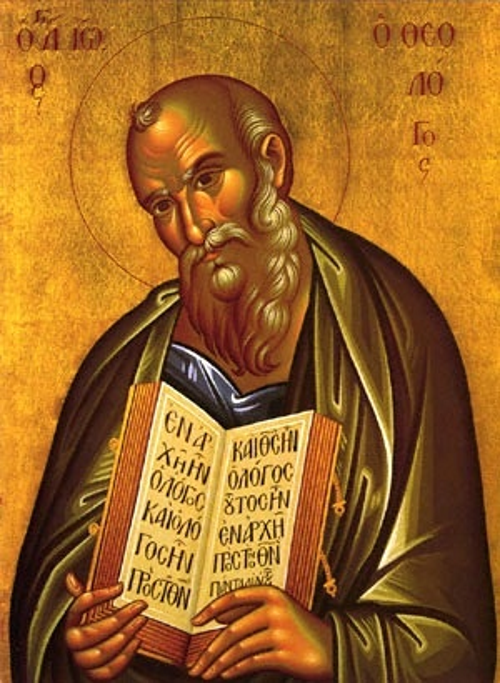 John, son of Zebedee, is a leading apostle of Jesus, apparently enjoying his special favour, and tradition has marked him out as the author of the fourth gospel. He is Galilean, from a fisherman’s family, an unlikely candidate for a priestly scribe, and none of the gospels name him as John Mark. From John’s gospel, the “beloved disciple” took the mother of Jesus into his home, and there is a site in Ephesus that lays claim to this. Most exegetes seem to favour the final redaction of the gospel by a Johannine school in Ephesus. If Revelations has the same author, then it was written by John on the island of Patmos nearby (I think a prison colony). Contrariwise there is a tradition that John Mark was missionary to Egypt, and the Coptic Church has a strong tradition in this regard. I think there are many things about these times that will never be known because of a deliberate policy of secrecy by the early Church, as a defence against imperial and Jewish persecution. We may speculate from some of the more arcane clues, but I suspect that conclusive finality will remain ever elusive. 1/- Yeshu’a on the cross looked at his mother and said to her, ‘Dear woman, here is your son,’ and then looked at the disciple/his beloved disciple standing beside her and said to him, “Here is your mother.” FROM THAT HOUR (uppercases mine) the beloved disciple took Yeshua’s mother into his own home IN JERUSALEM (and ONLY decades later in Ephesus). Mary mother of Yeshu’a having been appointed as the mother of the beloved disciple is mentioned as ‘mother of John Mark’ (OF JERUSALEM NOT EPHESUS) in the Acts of the Apostles 12:12. 2/- Because of the beloved disciple’s preoccupation with ritual uncleanliness and purity, and atonement rites, although he reached Yeshua’s tomb first, he would not enter until Peter/Kepha had done so and established there were no corpse inside. Whence most likely John Mark aka the beloved disciple was a priest. 4/- John Mark could have taken with him Yeshua’s Shroud on the island of Patmos and have his profound out-of-body vision from heaven triggered by the oversized-Rorschach-bloodstain pattern-test-like relic. Of 286 names on 231 inscribed ossuaries held by the IAA, variants on the name Mary (Miriam, Maria) occur in 20 cases, 7% of all names (Rahmani statistics). It was a very common name for Jewish women. Mary mother of John Mark in Acts 12:12 is not specifically identified as the mother of Jesus, nor the mother of the “beloved disciple”. The “other disciple’s” deferral to Peter at the tomb might well be only because of Peter’s leadership role, and his Jewish preoccupation with ritual cleanliness does not necessarily stem from a priesthood role, but it is interesting nevertheless, as the gospel does make a point of his delaying his entry. It still does not deal with the countervailing patristic traditions of authorship, stylistic differences in the two gospels, nor of the strong Egyptian tradition concerning John Mark. Why would John the disciple accept such a subordinate role as secretary to both Peter and Paul in Rome? I don’t see John a Galilean fisherman, son of Zebedee, as being the same person as John Mark, a high priest’s secretary. It doesn’t fit.